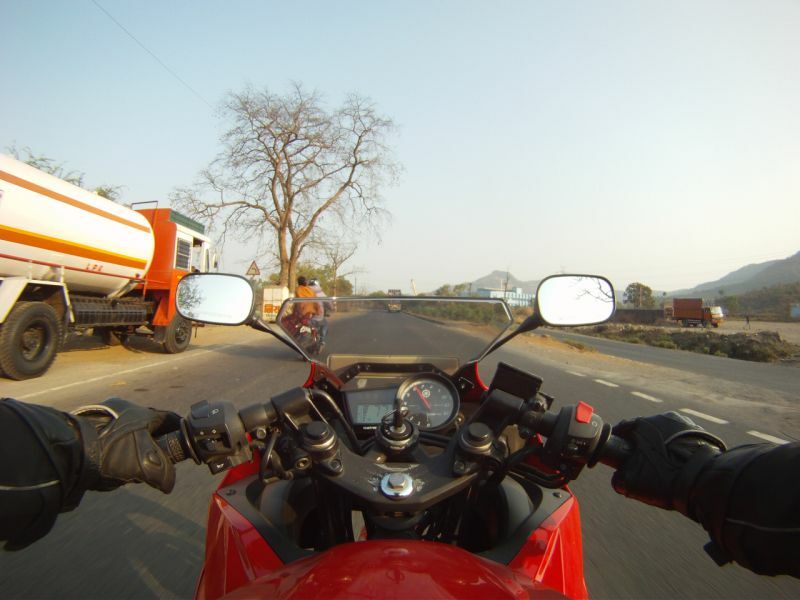 Many new riders tend to get fixated on hazardous obstacles on the road. This phenomenon is known as target fixation. Read on to see how to remedy this. Target fixation is a process by which the brain is focused so intently on an observed object that awareness of other obstacles or hazards can lessen. Also, in an avoidance scenario, the observer can become so fixated on the target that they will end up colliding with the object. 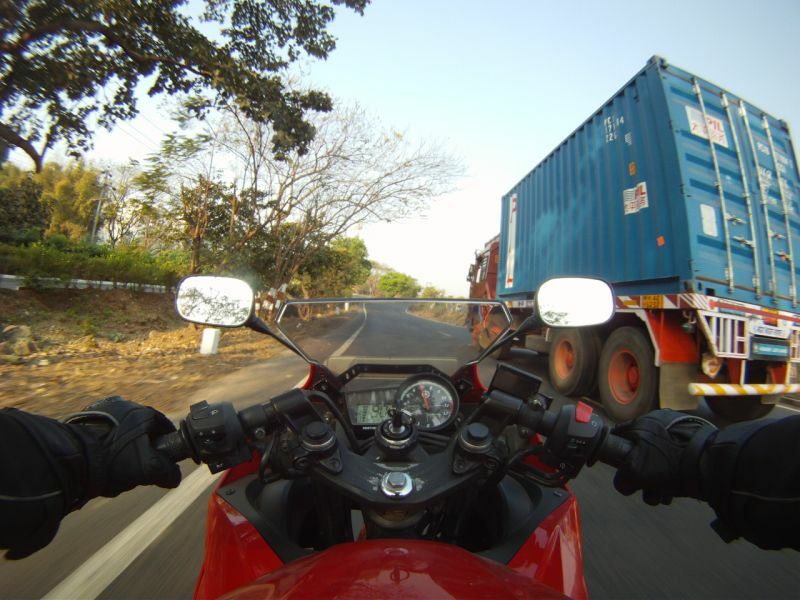 For motorcyclists the bike will tend to go where the rider is looking; if the rider is overly focused on an obstacle (puddle of oil, tree, stone, patch of sand, stray animal, etc), the bike can collide with that object simply because of the rider’s focus on it, even though the rider is trying to avoid it. Its simple, your hands are hardwired to your eyes. Keep looking ahead and see where you want to be next. Don’t look where you don’t want to go, because if your eyes stay fixated on a target you don’t want to hit, your hands will automatically take you there. Don’t keep looking at the oncoming truck/animal/pothole; figure out where you would rather be and fixate on that instead. Imagine you’re riding up a winding road and coming up to a right hand corner. You realize that the road is narrow and you notice a truck coming down the road in the opposite direction. Here is where you have to analyze the situation and decide your path through the corner. Once you’ve done that, keep looking ahead at the road and plan where you want to be next. This may sound easy but sometimes what happens is, a rider doesn’t look far ahead enough and gets startled when he sees the truck coming. His focus then shifts to the truck. Your eyes get so fixated on the truck coming towards you that subconsciously you start turning the bike to the truck rather than sticking to the path you had planned earlier. This is target fixation. Another example will be, say you are cruising along the highway and see a cow sitting on the road in the middle of your path. You’ve seen the cow now the next step is to check your rear view mirror for other vehicles and then switch lanes to avoid running in to the cow. But sometimes riders tend to get un-nerved and keep their eyes locked on to the cow instead of planning a way around. This leads to the rider veering into the path of the cow. This is another form of target fixation.